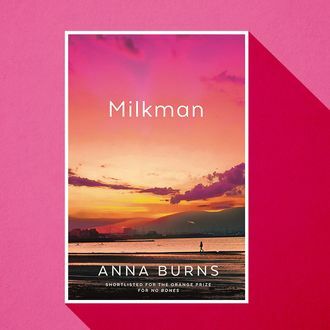 Anna Burns’s novel Milkman has won the Man Booker prize in fiction. The book, Burns’s third, is set during the Troubles in Northern Ireland and told from the perspective of an 18-year-old girl who’s pursued by an older man, the milkman. “None of us has ever read anything like this before,” Kwame Anthony Appiah, chair of the Booker’s judges said of the book, according to the Guardian. “Anna Burns’ utterly distinctive voice challenges conventional thinking and form in surprising and immersive prose. It is a story of brutality, sexual encroachment and resistance threaded with mordant humour.” Burns is the first Northern Irish writer to win the British award, though winners in the past have come from the Irish Republic. Other works on the short list included Esi Edugyan’s Washington Black, Rachel Kushner’s The Mars Room, Richard Powers’s The Overstory, Robin Robinson’s The Long Take, and Daisy Johnson’s Everything Under. This was also the first year that the award’s long list that included a graphic novel.